The paintings archived on this page are either sold to private entities or not for sale. 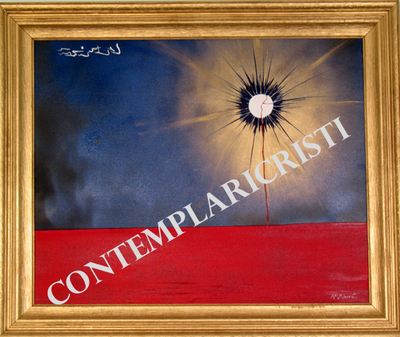 The watermark "ContemplariChristi" placed to avoid illegal copying of the image is obviously absent from the painting. Contact The Administrator to request a print it it's not available on the print page.